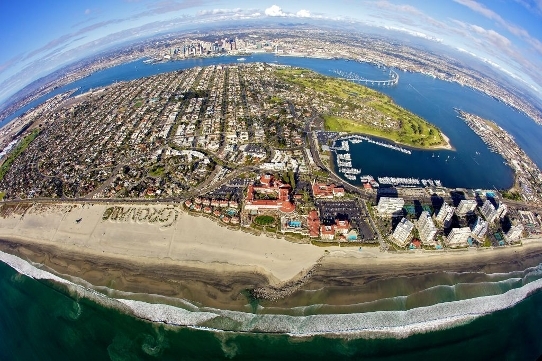 Coronado Beach Named Nation's #2 Best Beach! Once Again Coronado Beach is in the Top 10 Beaches in the US and comes in at number 2! Please come and visit our wonderful community and our beautiful beaches! The Very Latest Coronado Homes Heading to Auction! Being a Bargain hunter combing through Coronado garage sales on Thursdays is one thing, but picking up a Coronado "bargain" on the court house steps is another. It is not for the amateur. For one thing, it brings "due diligence" to a whole new level. When you purchase a home on the court house steps, you do not get "title insurance". Not having clean title is a nightmare unto itself. Please search Coronado Foreclosures and Coronado Homes scheduled for Auction on my Foreclosure Radar website link below or click here for direct access. You can also search Coronado Homes in Foreclosure Actions Listed For Sale HERE.